Please note: Early bird tickets have now sold out. Due to a staggering amount of interest, we are pleased to announce that Melbourne School of Design will now be facilitating a live stream of this event, viewable anywhere in the world, and that MPavilion will host a special screening of the lecture, as it unfolds in real-time, at the OMA-designed MPavilion 2017 on its opening night. Find out more details about the screening on our website, or register your attendance on Facebook. 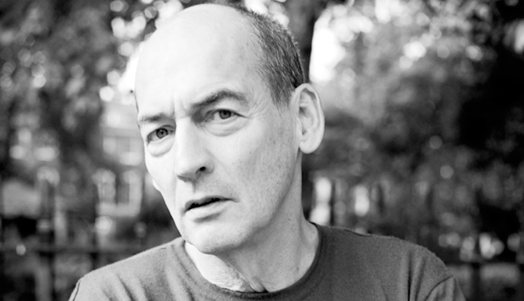 Rem Koolhaas is among the most celebrated and exciting architects working today. From the gravity-defying CCTV Headquarters in Beijing to the startling Seattle Central Library to the hallucinogenic ‘vertical city’ De Rotterdam complex, the work of the office of the Pritzker Prize-winner is audacious and always unpredictable. As co-founder of the Office for Metropolitan Architecture (OMA) in the Netherlands, Rem Koolhaas is revered not just for creating buildings that inspire and astonish. He’s also a leading urban theorist and the author of several books including Delirious New York, SMLXL and Content. His writing explores the possibilities of the modern metropolis and the effects of globalisation, capitalism, preservation, virtuality and renewal on city life. MPavilion 2017 is designed by Rem Koolhaas and OMA managing partner-architect, David Gianotten. At the Melbourne School of Design, Rem Koolhaas will present a lecture on his vision of the countryside—a current preoccupation of OMA’s—with David Gianotten speaking to an Australian context at the end of the lecture. This talk is presented in partnership with MPavilion, Melbourne School of Design and The Embassy of the Kingdom of the Netherlands.